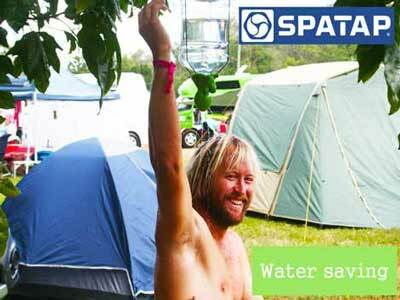 Use a SpaTap anywhere you need an instant tap or shower just take SpaTap and any plastic bottle full of water. 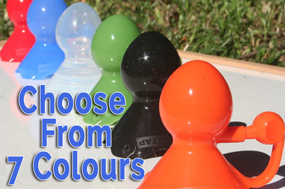 • SpaTap can be safely used and easily carried by adults and children. • SpaTap is rugged, durable and strong and can go anywhere. • SpaTap’s unique design means it can be hung from anywhere or handheld to provide washing in the most awkward of places. • By simply leaving a water bottle in the sun you can have a warm wash anytime. • SpaTap can be used anywhere! • SpaTap is robust, minimises contamination and maintain the integrity of the primary container. SpaTap – šikovná sprcha do kempu, do prírody, na festival, ale aj pre rozvojové krajiny. These Products Are As Useful As They Are Small. I Need Every One! The world’s first pocket shower. Great for camping!